“I would like to thank Mr. Norman Ciment for granting me the honor of helping him with this project. 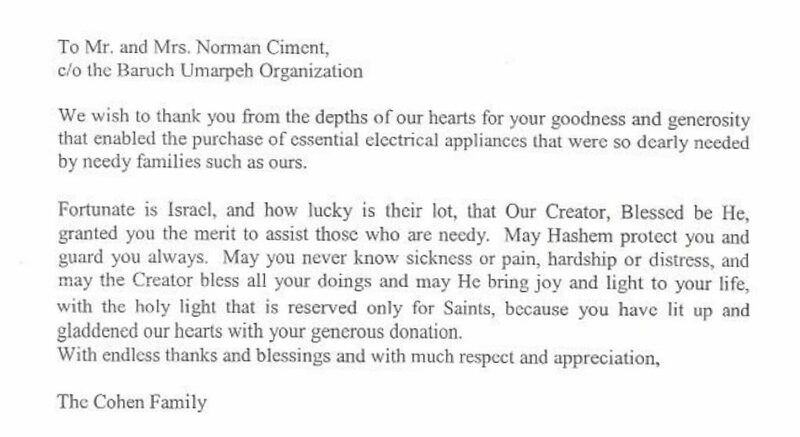 For over a decade I have been helping Mr. Norman with his tremendous endeavor of providing stoves and/or refrigerators to those in need. 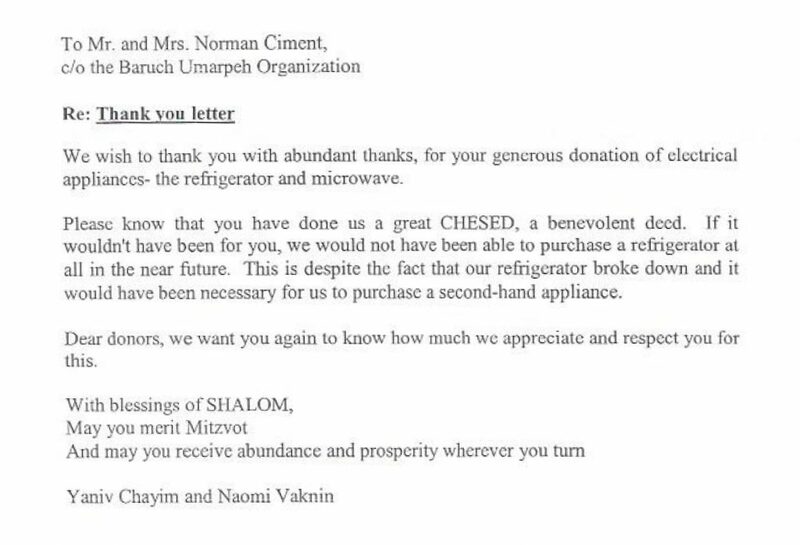 It has been a great privilege to work with Mr. Norman Ciment and the social workers from the Jerusalem Municipality to check out and verify the authenticity of each family that the welfare department gave us as a potential recipient of either an oven and/or refrigerator free of charge. 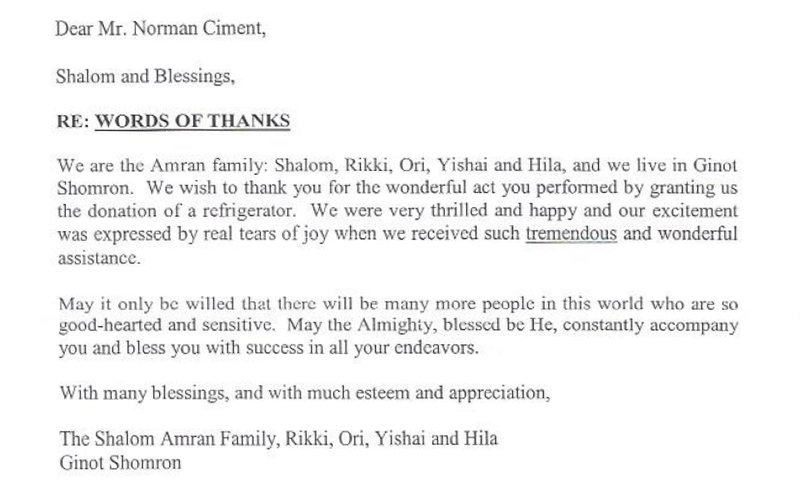 Over the years we have encountered many families who were in desperate need and through this project and Mr. Norman Ciments generosity were helped tremendously. 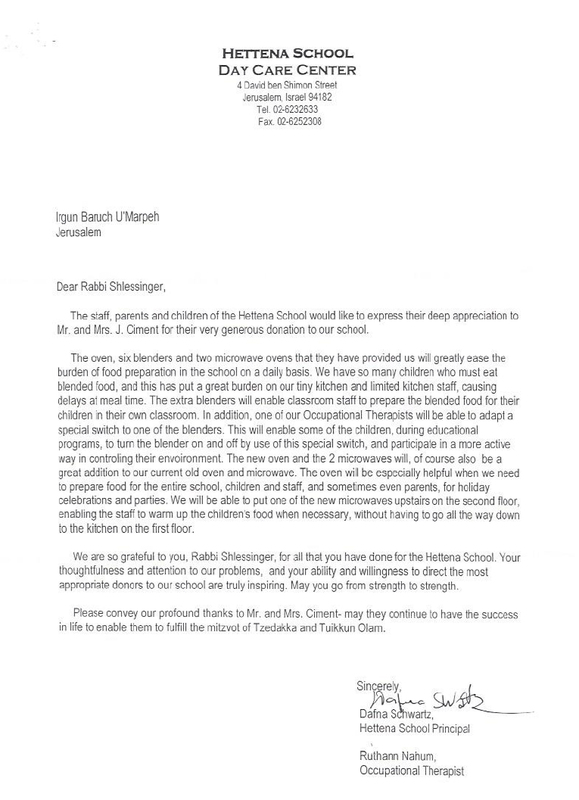 I personally experienced how important this project is as I have encountered families that could only cook on one flame or couldn’t keep perishables from spoiling as they had no working fridge. “After our previous oven stopped working and we had no idea where we would how we would buy a new oven when we barley have enough money to buy food even while living very frugally. 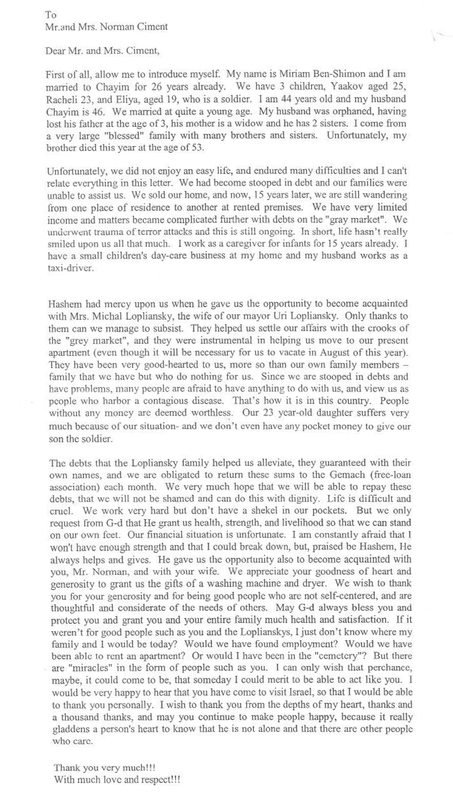 “We are coming here to express our gratitude for your great help and kindness. The fridge that we owned broke about a month ago, and we couldn’t store food there without them going bad. We got used to the fridge serving as a pantry. 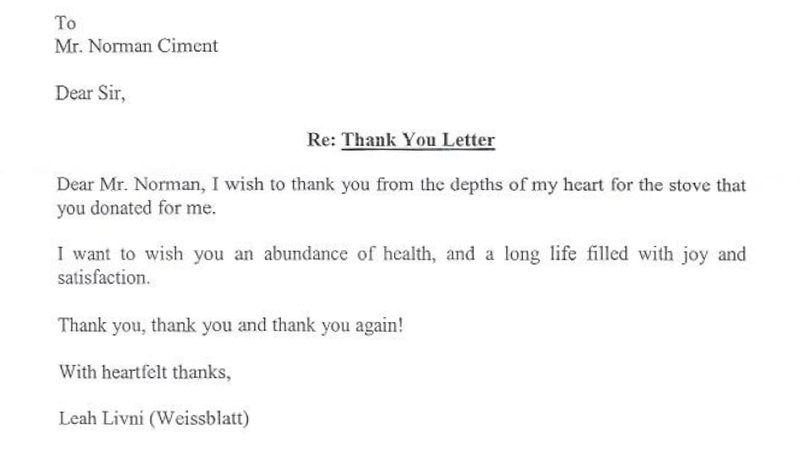 We are so happy now. You restored peace and and normal life back to our house. 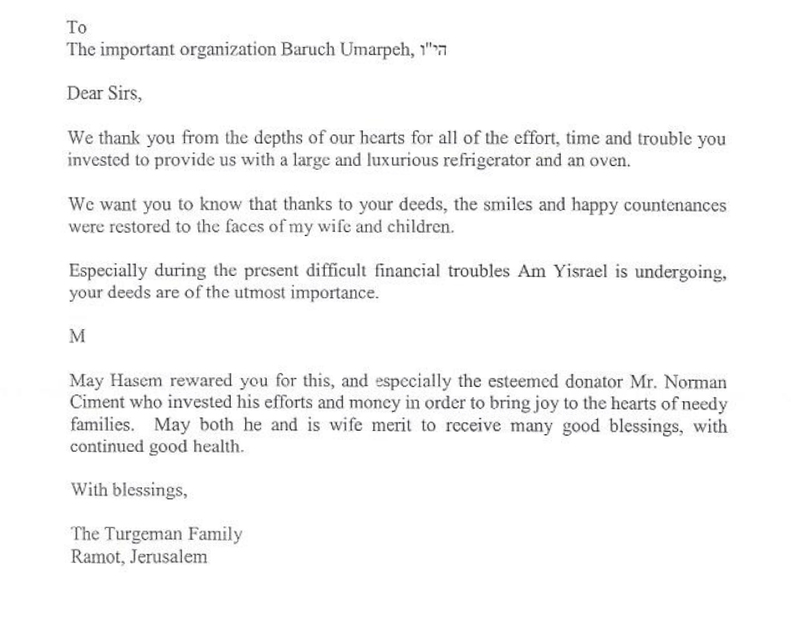 May Hashem continue to give you the strength to help out those in need. “The fridge that we received from you is a crucial part of the household. 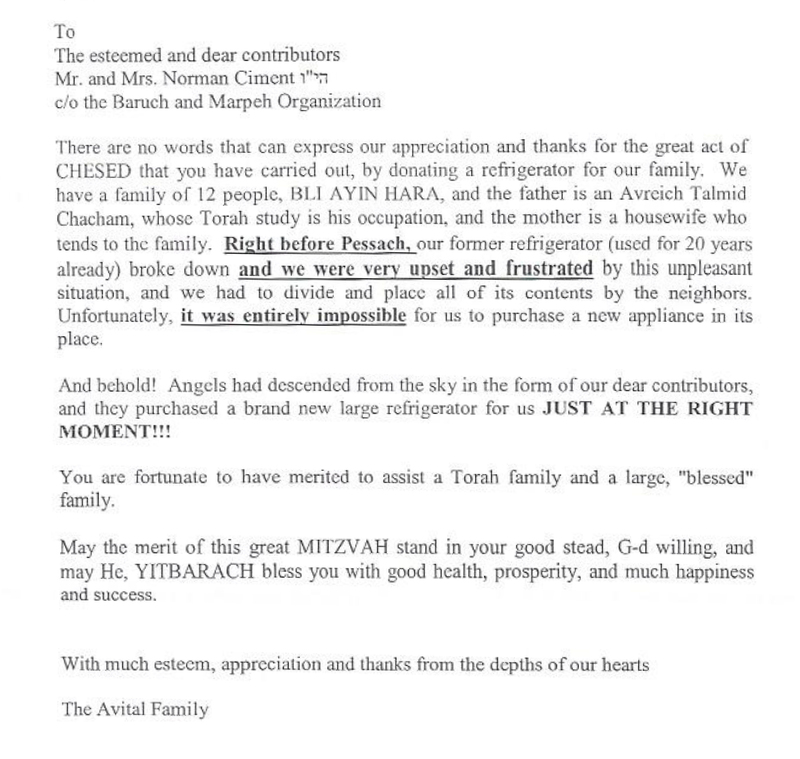 For large families the need of a fridge is unexplainable. Up until now we were using a very old fridge and the food would constantly go bad. We would than have to buy more food. The expenses were too great to bear. 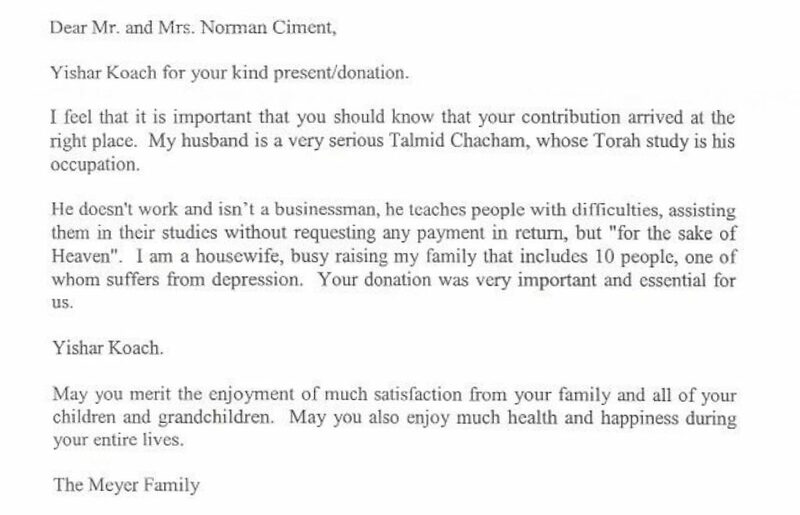 “In this humble letter, I would like to express my gratitude towards Baruch Umarpeh, and to David Schlesinger for their care and concern for those in need. 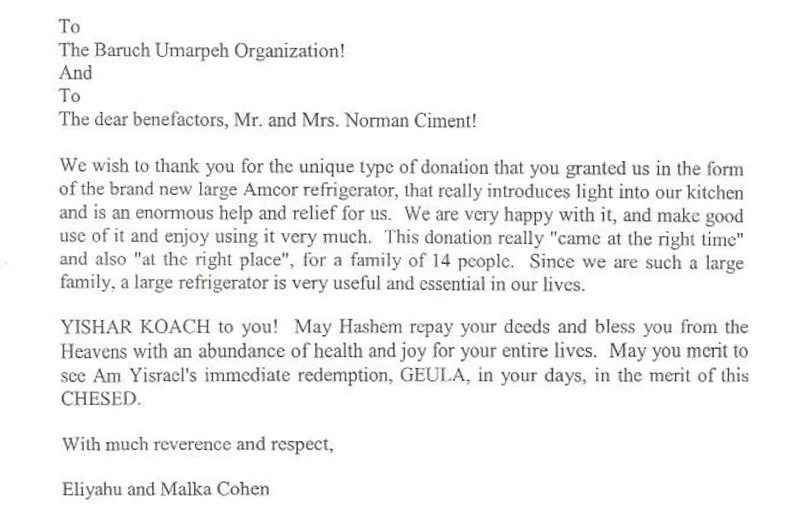 I specifically want to than them for the donation of the fridge that was greatly needed in our home. Copyright 2017 Give a Fridge Project I All rights reserved.